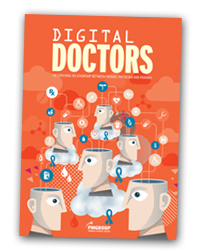 The Digital Doctors supplement discusses four major areas relating to the evolving relationship between pharma, physician and the patient. We look at this new dynamic through the eyes of the ePatient and ask what both pharma and doctors can do to help improve digital engagement. As the industry strives to develop new and innovative communication strategies with physicians in Europe, we analyse the role of pharma in this new relationship. We also tackle the future of wearable technology and how this new hardware is becoming the tangible material of the patient evolution. Finally, this PME supplement concludes with a look at the increasing use of telehealth and telemedicine as a way to engage directly with patients outside the doctor’s office.